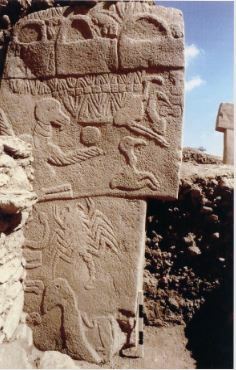 The alleged event appears to pre-date the Göbekli Tepe site itself by at least 1,500 years, which seems at odds with the idea that the carvings were intended as observations of it. Ancient stone carvings confirm that a comet struck the Earth around 11,000BC, a devastating event which wiped out woolly mammoths and sparked the rise of civilisations, says the Daily Telegraph. Experts at the University of Edinburgh analysed mysterious symbols carved onto stone pillars at Göbekli Tepe in southern Turkey, to find out if they could be linked to constellations. The markings suggest that a swarm of comet fragments hit Earth at the exact same time that a mini-ice age struck, changing the entire course of human history. Scientists have speculated for decades that a comet could be behind the sudden fall in temperature during a period known as the Younger Dryas. But recently the theory appeared to have been debunked by new dating of meteor craters in North America where the comet is thought to have struck. However, when engineers studied animal carvings made on a pillar – known as the vulture stone – at Göbekli Tepe they discovered that the creatures were actually astronomical symbols which represented constellations and the comet. “Our work serves to reinforce that physical evidence. What is happening here is the process of paradigm change. It appears Göbekli Tepe was, among other things, an observatory for monitoring the night sky. Göbekli Tepe is thought to be the world’s oldest temple site, which dates from around 9,000BC, pre-dating Stonehenge by around 6,000 years. I suppose there is the possibility that they are overinterpreting what the carvings are telling them. No difinitive evidence of anything that I can see from here. I tried to read the telegraph article earlier and it kept crashing but it’s readable here of course. I think the idea of a comet hitting at that time is very plausible and if it did, I’m pretty sure we’ll find more evidence in the fullness of time. 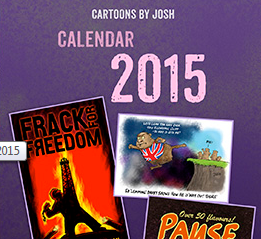 The platinum deposits seem like a fairly good smoking gun but wouldn’t that imply an asteroid hit, not a comet? I don’t recall seeing platinum high up on the list for comet 67P or any other of the visited comets. But asteroids have it, supposedly in abundance, hence the nascent mining industry players. Looking at the pillar, I realise archeologists studied it for somewhat longer than the one minute I gave it, but I do wonder if anything very definitive can be inferred from it, especially if it was carved 1500 years after the event with just oral tradition handing down the story. The supposed comet looks as if it could be the rising sun throwing up rays. The animal holding the circle (sun if not a comet) might be a proto Ra god or Nut godess. BTW, there’s also a line of 1950’s cars in a traffic jam along the top, so one might interpret this pillar to be anything really. OK, I’ve downloaded the paper. Looks as though they studied more than one pillar so I’m a bit less sceptical now. I’ll read it later. Despite scepticism, it’s very exciting. I just wish the scientists would say “this is consistent with…” rather than claiming they pretty well proved it as they do in the Telegraph article. I see this all the time with 67P papers which should be very circumspect about their results (usually modelled or just supposed based on very flimsy evidence). What they find is consistent with a certain mechanism, yes, but doesn’t prove the mechanism. The next citing paper treats it as fact for their paper and the originally tentative hypothesis becomes established as an unassailable truth. How the hell would they know they were astronomical symbols OF THAT ERA. Centuries after the possible event someone carves pictures on a stone which relate to what? Why centuries after? Chances of any accuracy at all would be small. Send three and four pence we’re going to dance. The YD period is another ‘trigger point’ like previous ones, as this graph shows clearly (it already appeared on this site before, but where I ??). That ratcheting to a trip point is unmistakable. The event, the cause, the tell-tales, etc. is ?? Not the cause because YD is not unique. Never underestimate archaeologist’s knowledge: “At the time Tiahuanaco flourished the present moon was not yet the companion of our earth but was still an independent exterior planet. There was another satellite moving around our earth then, rather close-5.9 terrestrial radii, center to center; our present moon being at 60 radii. Because of its closeness it moved around the earth more quickly than our planet rotated. Therefore it rose in the west and set in the east (like Mars’ satellite Phobos), and so caused a great number of solar eclipses, 37 in one “twelfth,” or 447 in one “solar year ” of course it caused an equal number of satellite eclipses. These groupings (37, 447) are shown in the sculpture, with many Corroborating cross-references. Different symbols show when these solar eclipses, which were of some duration, occurred: at sunrise, at noon, at sunset. This is despite a whole animal being binned for the purposes of their analysis. It’s sitting between two others that are purported to be constellations but there’s no constellation there and so they say they can’t account for it and carry on. Also, their software depiction of the constellations in 10,950 BC purports to show the sun above the wing of the eagle/vulture but it’s below it if you carefully correlate it to Sagittarius in their figure 5. Next, even if they’re right on the constellations and timing of 10,950 they say themselves that the chance of it being a timing coincidence with the YD event era is a few percent based on the 500-yr error bars and the time to present. That’s a lot less certain than 1: 5million. Then we have to believe we can read the minds of the stone carvers and conclude that of all the events over many centuries including wars, famine and other natural disasters that YD was the one they were referring to. It’s like us putting up a weird modern-art sculpture in commemoration of the fallen in the World Wars and an archeologist of 10,000 years hence pronouncing it has to be to do with the great plague of 1349. It’s at the very best a highly tentative working hypothesis which can be left on the back-burner till more evidence comes to light. In that sense it is useful. Where I say “constellation” I mean “asterism” as they are looking at asterisms within the well-known constellations. They make that clear in the paper so they’re not trying to replicate today’s exact constellations or the animals that represent them. It’s more like different animals representing the most obvious chunks (asterisms) within our familiar constellations. That’s fair enough as far as it goes because you’d expect them to see the same patterns we do but miss out/add in a few stars and then assign a different but similar-shaped animal to it. That does open the door for even more pseudo-interpretation though. But as they say, all that’s covered by the 1 in 5 million chance they’re wrong. Whatever the carvings of Gobleki Tepe were meant to depict, they do tell something about the people and their life-style. The extent of the place; the abstract designs unrelated to the way of life; a sedentary civilisation with a constant source of feed > therefore agrarian not hunter; the terminal end – buried totally like the ‘Ring of Brodgar’ in ~2300bce; —– and more. I am skeptical about the dating. C14 is troublesome on its own. Looking at the civilisations on either side – ancient Thrace and Mesopotamia, Anatolia in between would be similar. But that’s my opinion. Compare those two BC dates. The comet occurred first so how could the carvers have observed it? From what I understand of the paper, this article, and other articles about the same paper, one of the archaeologists studying the stone pillars in the ruins recognized some of the animals depicted on the temple / observatory’s stone posts as also constellations used by the Sumerians. Looking into it further, he learned that all of the animals except the snake (at the bottom) and the small fox (being carried by a person) could be linked to constellations used by various peoples who later lived in that general region. Furthermore, it turned out that the positioning of the posts – and thus the possible constellation markers on them – would place the constellations about as far apart from each other as they actually appear to be in the sky. There were also images that could represent falling stars at the position that – if their interpretation is correct – is analogous to the Taurid meteor showers, which they believe further enhances the validity of their theory that the animals represent constellations. In addition to this there was a larger, more prominent image of a comet or of a significantly sized falling star, along with other imagery associated with it that could represent its appearance during atmospheric entry. To them, this suggesting that the builders had seen a prominently visible comet or meteor within living memory before construction of the pillars. But from other evidence at the site, the pillars were also meant to be markers for ritual use during a solstice, so they tried to find a period in which the purported constellations on the posts would be at those positions in the sky during a solstice, and they discovered a 500 year window during which the constellations would be where the pillars depicted them, centered on 10,950 BC, +/-250 years. Thus this was the most probable time for when these stone posts of the temple / observatory were carved and placed – and therefore the time the temple itself was built, and possibly also the settlement around it. But this time period is right on or probably before the Neolithic Revolution, which means only hunter-gatherers could have built it – something that archaeologists previously did not think they had the manpower concentration or social organization to accomplish. So they looked for any event during that time that could be the reason for such a gathering of people to building such, and they found the start of the Younger Dryas. They also learned of the impact theory regarding the Younger Dryas, and realized the images on the posts that seem to depict a significantly sized meteor falling might support this theory, especially given that some of the imagery on the posts (the headless human, etc) suggested a disaster had occurred. That is my understanding of the situation from reading the paper and various articles about this paper. As a final note, the 1 in 5 million figure has to do with the likelihood that the animals on the posts are the specific constellations they believe them to be, given that they are placed in such a manner that the constellations are as many degrees apart – when looking toward the sky from the observatory / temple – as they actually are in the night sky. It does not refer to the likelihood that the posts support the impact theory, only that the animals represent constellations, and therefore are an effective means of dating when the posts were constructed and placed. Sorry, I’m noy buyin’ it. While I’m quite certain cometary bits hit during the Younger Dryas, peak clipping this interglacial when compared to prior; that stone just isn’t clear at all what it is saying. The precision and fit of the author claims can’t be supported by a few animal pictures. I haven’t read the original paper. But I don’t buy this either, although it may be broadly plausible. What we do know is the site is very large and excavation is not to the bottom yet. We also don’t know but what those carvings are continuations of traditions on older carvings yet to be unearthed. As with many other historical issues, without a “Rosetta Stone” no one is ever going to take such things beyond speculation. Any continuity, consistency, and relevance is imposed by our own views of the past, which obviously is not science. The claimed probability has overtones of Data on many of his “away team” exploits. where the writer seems to imply that ‘insolation’ is the major ‘climate change’ mediator. ‘UV’ alters with ‘sunspot activity’ and its effect is diminished by continued ‘insolation’ of UV by the ‘reactance’ of Earth’s atmosphere from continued UV insolation. UVa is the wavelength that enjoys a ‘greater depth to extinction’ for Earth’s atmosphere and oceans/seas within the UV spectra, so I would respectfully suggest that any ‘enquiry/inquiry’ should begin here. IMHO ‘insolation’, or the lack of it, is most likely to mediate any ‘step change’ to a current ‘climate stability’ regiment. CO2 ‘doesn’t fit the bill/change’, but ‘change of use’ is evident in the ‘anthropogenic’ sense. Whenever I read research from Archaeologists and they infer that ancient people used to worshipped whatever artefact or carvings they’ve found, I find it very hard to take their work serious. This doesn’t seem to be the case, so well done, they seem to have made a connection between the carvings and zodiacal constellations, which is very interesting and not surprising in my opinion, There is however the issue of the snake, the original Zodiac had 13 (for sure) maybe even 14 constellations not 12. even so, I’m still not buying into this whole “event which wiped out woolly mammoths” and stone carvings do not prove that “a swarm of comet fragments” hit earth, there is no evidence to support this either. There’s still the fact that the last of the woolly mammoths were flash frozen and the rest may have become prey, there is also no convincing evidence to date of an asteroid or comet striking earth around the time of the Younger Dryas period, they are propping up a failed theory, unfortunate, if a comet or an asteroid struck during the peak of the cold Younger Dryas period, what was it supposed to result in? cooling? it didn’t, it warmed up from the peak of the coldest period in the last 12 thousand years, the whole premise is more than shaky, it’s ridiculous. Ray – is this the paper? 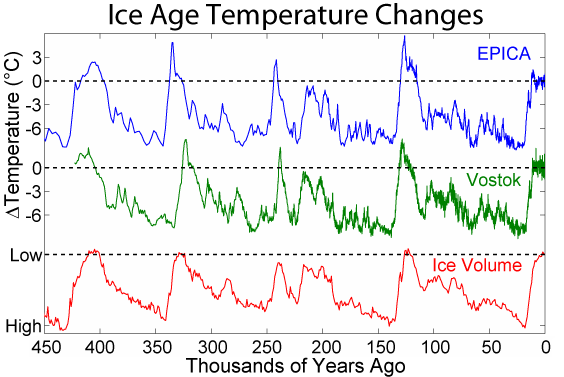 Some time ago I also wrote an article on the Younger Dryas cooling period – one in a long history of articles on this subject. In a variation on this theme I claimed that the meteor had hit the Laurentide ice sheet and sprayed ‘slushballs’ all over N America, which destroyed the continent. This caused the Younger Dryas cooling period, the demise of Clovis Man, and the great megafauna extinction. There has long been much opposition to this theory from the establishment, but I am not sure why as it makes a great deal of sense. In this new paper I can see how he gets the dating, via precession, but not how he identifies the meteor. I will read the paper and find out. As a final note, the 1 in 5 million figure has to do with the likelihood that the animals on the posts are the specific constellations they believe them to be, given that they are placed in such a manner that the constellations are as many degrees apart – when looking toward the sky from the observatory / temple – as they actually are in the night sky. In a variation on this theme I claimed that the meteor had hit the Laurentide ice sheet and sprayed ‘slushballs’ all over N America, which destroyed the continent.